But its greatest excitement lies not in the events and characters, but in the person they all point to. 1 Samuel presents us with a wonderful picture of Jesus. Seeing him in and through this Old Testament book enables us to see him with fresh color and texture, and see afresh what it means for us to follow him today as our Ruler and Rescuer. 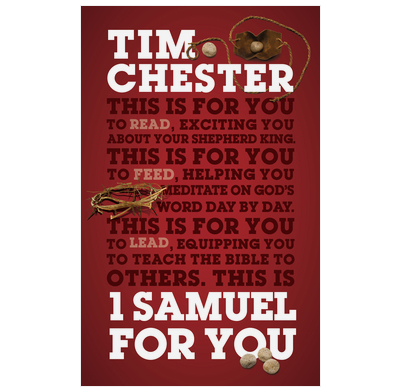 1 Samuel is a book about ancient times, that speaks directly into ours.